Inspired by the Gospel we aim to promote peace, justice and the integrity of creation. We will do this by identifying local and global issues of injustice and its root causes and working with others where appropriate to educate and empower the community to take action. As a group we will seek to educate ourselves and better understand local, national and global issues of justice and peace. We will use our skills and knowledge to educate people within the Diocese on issues of justice, peace and the integrity of creation with a view to them taking action. We will provide opportunities for the faith community to engage with justice issues in a variety of ways. We will contribute regularly to newsletters and the diocesan website on issues of injustice. We will engage with school pupils through school projects and competitions. 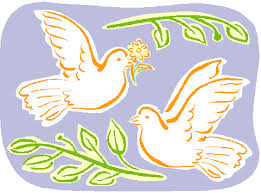 We will provide support to parishes wishing to establish a Justice and Peace group. We will value the experience of agencies working for Justice and Peace and willingly work with others (including local agencies, parish groups, interfaith groups, schools, minorities and NGOS) to promote common objectives, interests and values. We will endeavour to compliment the efforts of others working for a better world by seeking opportunities to collaborate on joint projects. Contact: Rev Shane Gallagher, Chaplain, Letterkenny General Hospital. The Raphoe Diocesan Society exists mainly to support Diocesan priests disabled by illness or age. Anyone wishing to become a Member or Benefactor may apply to their local priest. Four Masses will be offered in each parish each year; two for the living and two for the deceased Members and Benefactors. Annual Mass will be offered for the Society. The prayers of the congregations will be offered quarterly for Members registered in the previous three months. Parishioners are encouraged to join as living members and to enrol their deceased loved ones. Secretary: Ven Archdeacon William McMenamin, PE, St Columba’s, Meetinghouse Street, Raphoe, Co Donegal. 074 914 4834. Prays for vocations and helps in supporting seminarians in all stages of their formation.They meet once a month in the Pastoral Centre, Letterkenny, on the last Friday of the month.